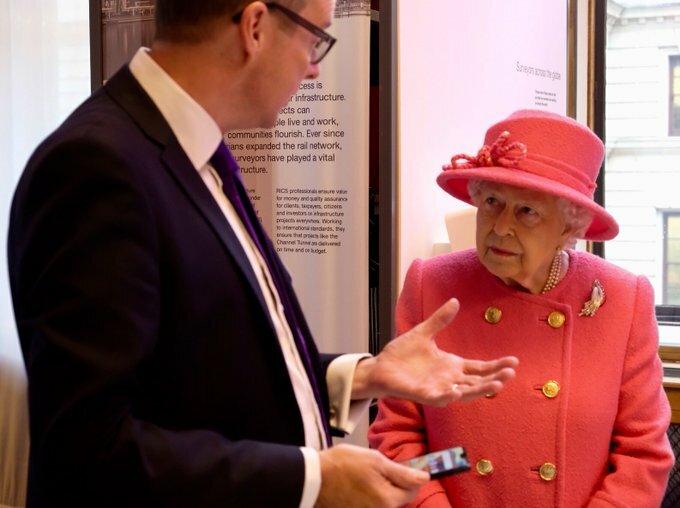 Today, The Queen visited the Royal Institution of Chartered Surveyors (RICS) in London to mark the organisation’s 150th anniversary. RICS is a professional body specialising in land, property and construction representing 125,000 accredited qualified and trainee professionals. On 15th June 1868, the organisation was first founded in London as the Institution of Surveyors. In 1881 the institution received a Royal Charter as The Surveyors' Institution from Queen Victoria, before becoming the Chartered Surveyors’ Institution in 1930. In 1946, George VI granted the title ‘Royal’ and in 1947 the professional body became the Royal Institution of Chartered Surveyors. Modern surveyors have played a leading role in developing the city in recent years. Projects they have worked on include the development of the London 2012 Olympic site, tunnelling Crossrail beneath the capital and planning the High Speed 2 railway. 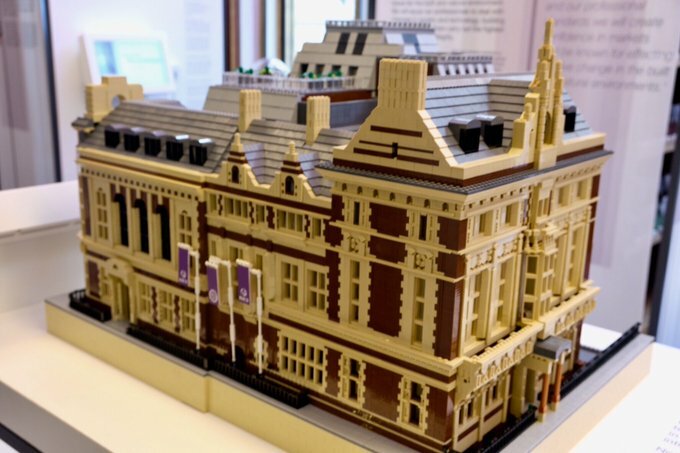 As Patron of the organisation, Her Majesty visited the exhibition, ‘Shaping the World, Building the Future’, where she viewed items including a Lego model of the institution’s headquarters, made from 13,000 bricks and which took 150 hours to assemble. 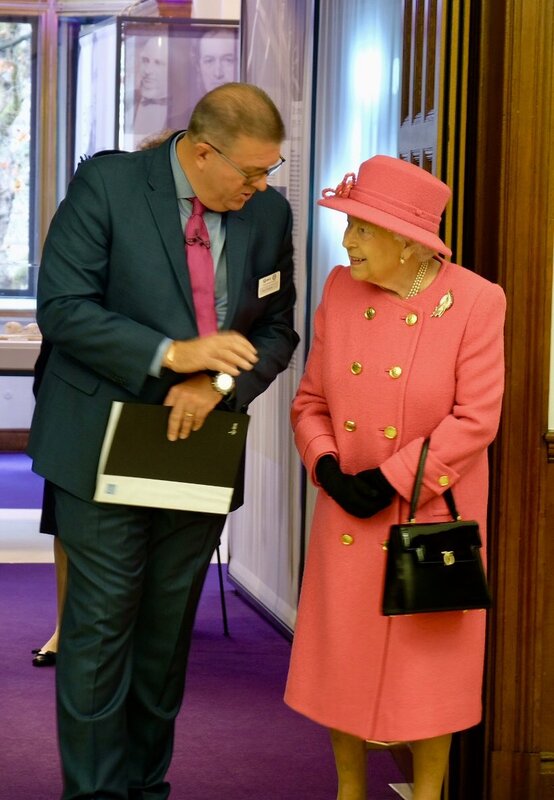 The Queen meets Nigel Clutton, the great-grandson of the RICS Founder and 1st President, John Clutton. 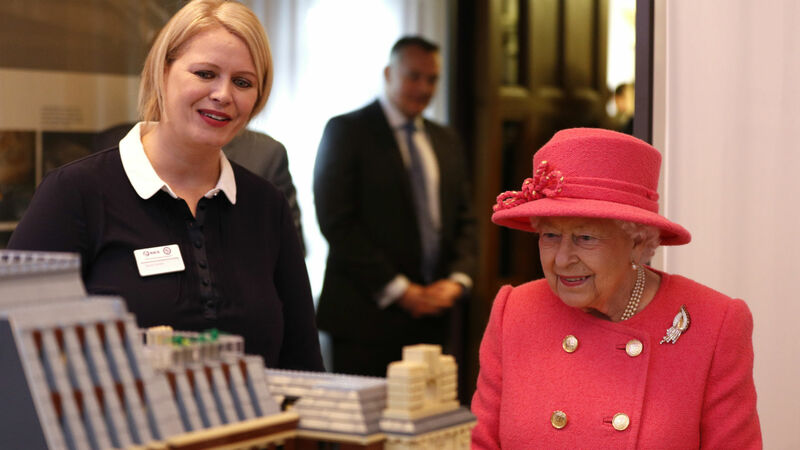 The Queen views a demonstration of how surveyors use digital technology to maintain and refurbish large historic buildings using Augmented Reality apps. Her Majesty also meets representatives of the organisation’s charitable work, trainees, students and diversity champions of the RICS. 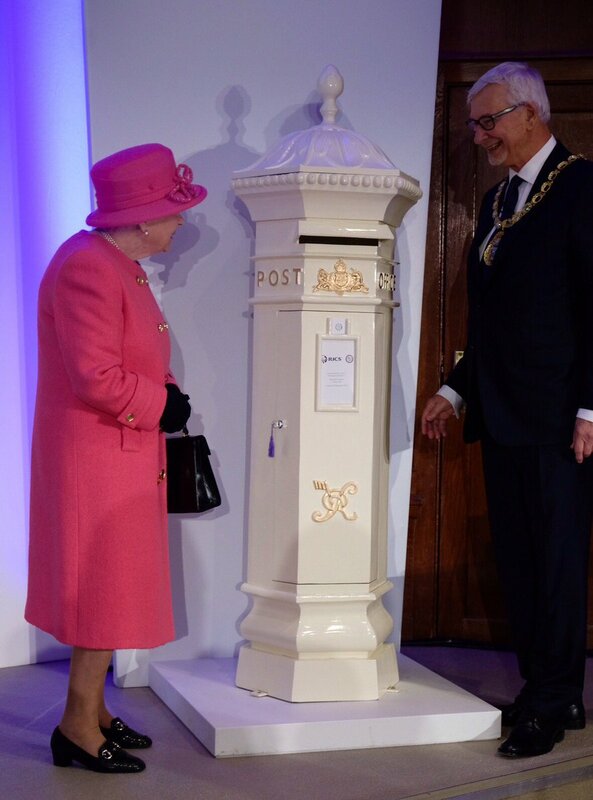 The Queen locked a letter box shaped time capsule which will be reopened on the Institution’s 200th anniversary. The birth of a baby brings great happiness - but then the business of growing up begins. Your contribution to peace and stability within Northern Ireland has been unique. We have been reminded that this magic of our childhoods - the characters, the stories, the imagination of it all - is an enduring and essential part of our culture. As Groucho Marx once said "Anyone can get old - all you have to do is to live long enough". And there are in my view many other anniversaries this year which are more deserving of celebration. You are a shining illustration of the history of the British Army and of this great institution. In a Regiment with such a rich family tradition it must give considerable cause for pride and satisfaction that the present generation of Welsh Guardsmen loses nothing in comparison with its predecessors. This day marks the beginning of what I hope will be highly successful careers as officers in the British Army or the armies of our friends and allies. Tonight we celebrate the value of sport as a means of bringing together people from seventy-one nations and territories. It is to the men and women of Wales that you, the members of this National Assembly, ultimately answer. These natural and human tragedies provided the headline news; they also provoked a quite remarkable humanitarian response. We both retain a deep affection for your country and the outgoing, generous Maltese people who have always offered us the hand of friendship. When limitless amounts of information, much of it ephemeral, are instantly accessible on demand, there is a renewed hunger for that which endures and gives meaning. It matters to all of us what kind of country China's people will build. Success at Trafalgar was by no means a foregone conclusion.